Created by die-makers for die-makers. 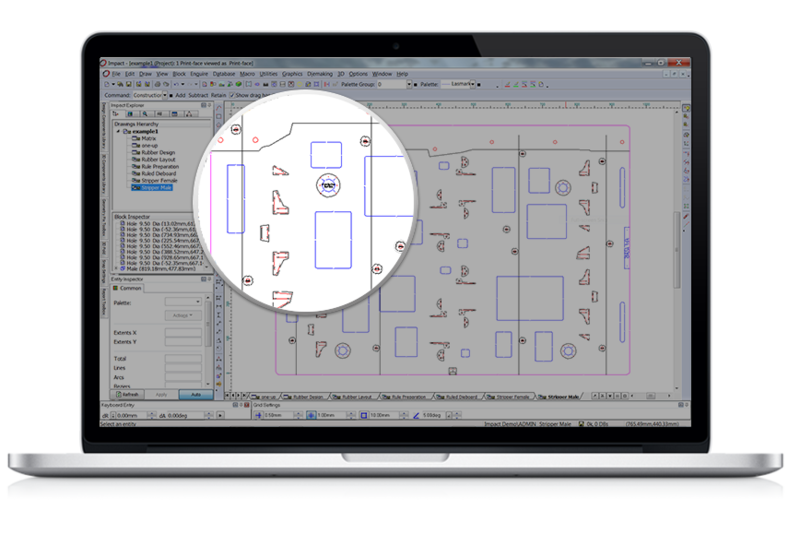 From customisable templates to pinpoint manufacturing, Impact CAD software is shaped around your business and way of working. 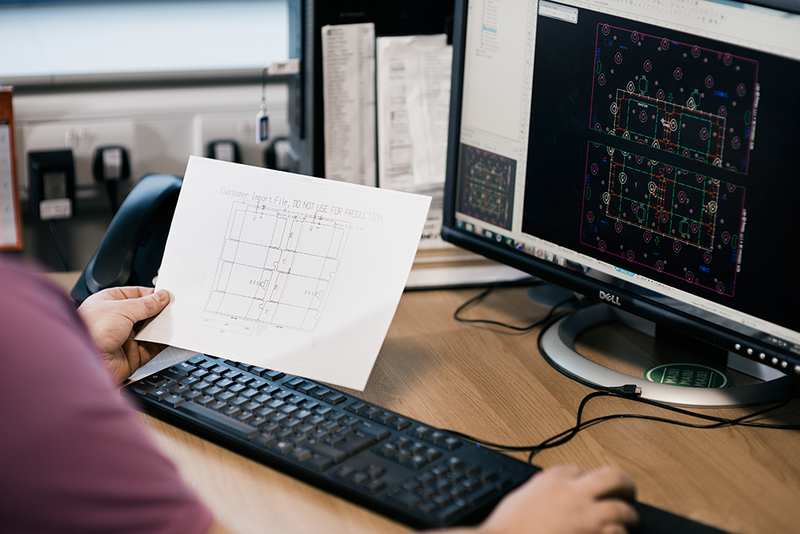 Our history of die-making has given us an unrivalled insight into the process and inspired us to develop integrated software that meets every challenge you face; allowing you to create effective tooling using your existing equipment. 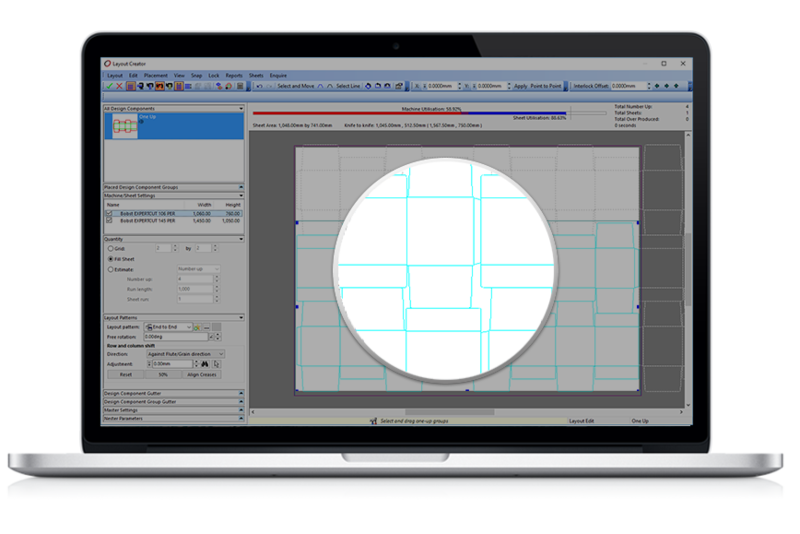 Our experience of tool making is built into the software, making the creation of dies simple and accurate. We understand that every machine is different and Impact will adapt to your customers’ specific requirements, meaning their packaging is perfect every time without the need to purchase new equipment. 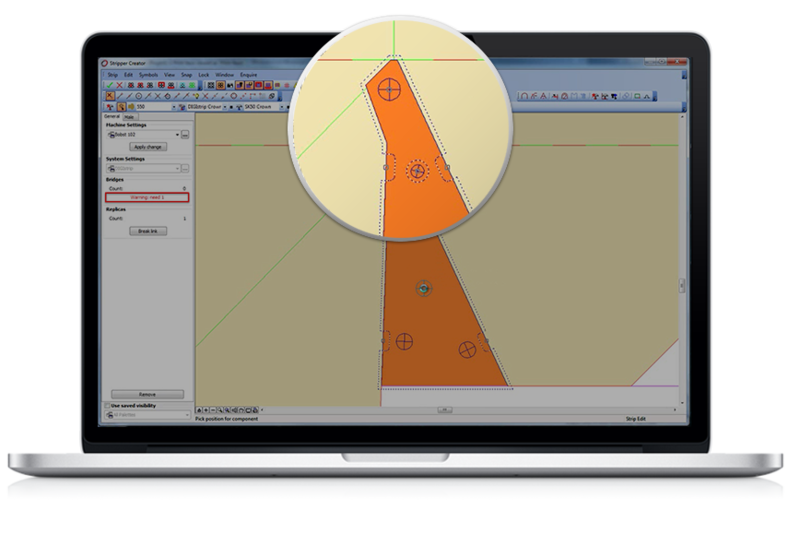 Our software leads you through a series of logical steps to create the perfect die every time. Dynamic feedback, in-built preferences and automated process all make your life easier and your customers happier. You’ll have access to our comprehensive library of best practice industry standard tooling settings. These settings can be easily adapted to yours and your customers’ own defaults and cover all the styles and materials you will encounter. 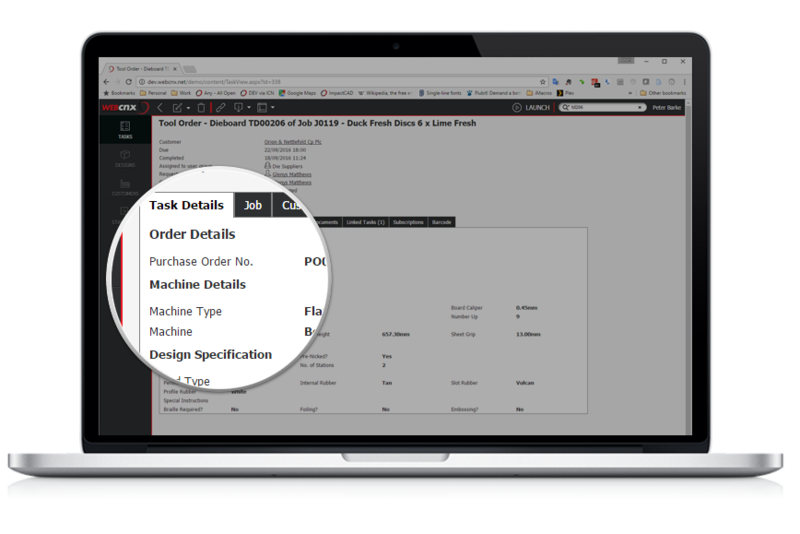 Customer specifications can then be stored and reused automatically, providing maximum productivity and guaranteed quality control. 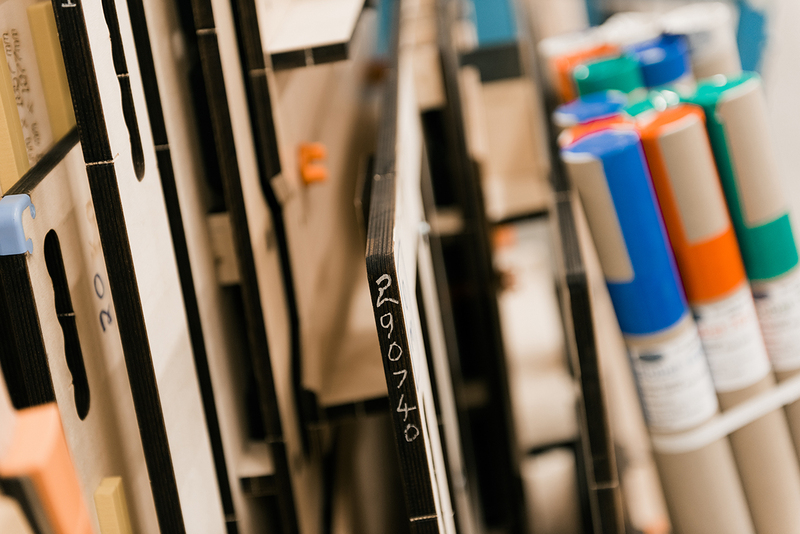 We understand your need for efficiency and Impact allows you to calculate one, or multiple, interlocking nesting patterns simultaneously to ensure maximum on-press efficiency and minimum material waste. Our suite of software allows you to use Impact across multiple sites, standardising settings and specifications and sharing work with a wider team. Customers can be brought into the tooling process, making you a company that is transparent and easier to work with.